Many of my friends who are non Disney Passholders find it baffling when I talk excitedly about restaurants inside of Walt Disney World Resorts. They all think giant turkey legs and burgers as the meal everyone eats while inside of the parks. That is very very far from the truth and one of my favorite things to do is eat my way through the Parks and Resorts. 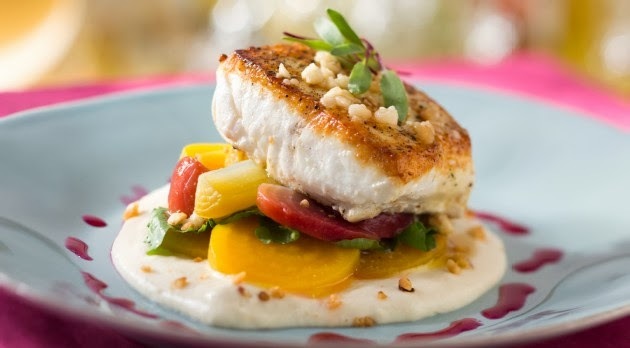 Since I will be at Disney from Wednesday through Sunday for Walt Disney World Marathon Weekend, I figured I would name some (not all) of my favorite sit down and quick service meals inside the resorts. Located inside of The Contemporary Resort, the recently updated California Grill is still one of the most sought after dinner reservations in Disney Parks and Resorts. Not to fear, there are some spots still available for this week! I just made a reservation for Thursday night to celebrate my Mom's first 5K. Other than one of the best meals you will have inside of Walt Disney World, you will see panoramic views of Seven Seas Lagoon and Magic Kingdom park. California Grill offers one of the best fireworks dining experiences at Walt Disney World Resort. When it is time for Fireworks, you will not find a better seat inside of Walt Disney World. For those (like me) who have earlier than Fireworks reservations, all you have to do is bring your receipt to the check-in desk on the 2nd floor for reentry to California Grill and you will be able to enjoy the show either from California Grill Lounge or the outside observation deck. You do not have to travel all the way to NYC to eat at the world famous Il Mulino Italian Restaurant (ranked #1 Italian Restaurant by Zagat for over two decades). Instead, head over to Swan and Dolphin! If you are lucky enough to score a reservation here, there is no better place to Carb Load inside of the resorts. 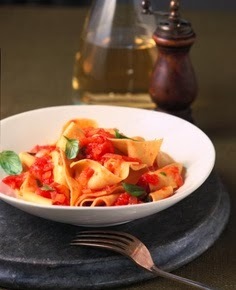 Pasta ranges from $20-$32 a plate. They also offer a light menu at their lounge. Sleepy Hollow Inn located inside of the Magic Kingdom has my favorite quick service meal located inside of Disney Parks and Resorts. The Sweet and Spicy Chicken and Waffle Sandwich....and it will only set you back a little over $7. It's perfectly fried and topped with a spicy slaw and arugula. They also have incredible soup of the day (the tomato bisque will knock your socks off). Two pieces of bread, stuffed with bananas, then deep fried and smothered with cinnamon sugar. 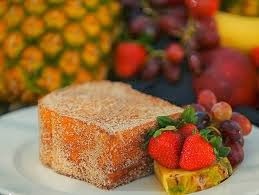 That is Tonga Toast and if you haven't had it before, you need to make a trip to the Disney's Polynesian Resort ASAP. Tonga Toast is available at two locations inside of Polynesian Resort - Kona Cafe, a sit down restaurant where reservations strongly recommended and Captain Cooks, a quick service restaurant. I spent 5 days at the Polynesian last fall and found out only by accident that Captain Cooks served Tonga Toast. For the past two years, we have scheduled Disney trips around getting reservations at Kona for the coveted toast. If you decide on Captain Cooks, do yourself a favor and go to Kona Coffee bar for a Pressed Kona Coffee to go. Where else can you go eat spaghetti and meatballs where Lady and the Tramp had their first kiss? Tony's is a turn-of-the-century trattoria located on Main Street, U.S.A., near the entrance to the Magic Kingdom. It offers a great view of the evening parades and excellent Italian Food. Reservations are suggested and I made mine last week so a few may be available still for Marathon Weekend. If you are looking for a cold treat, there is nothing better than a Dole Whip. 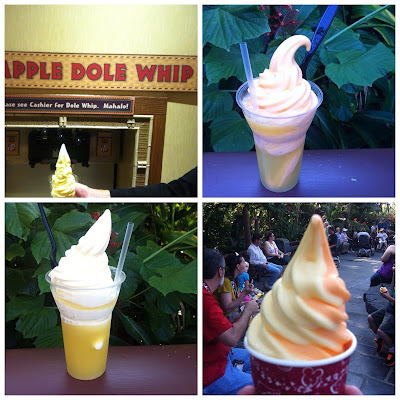 You can find Dole Whips at two locations inside of Disney Parks and Resorts. The most common location is at Aloha Isle inside of Magic Kingdom but there will always be long lines. My favorite location to get the pineapple goodness is at Captain Cooks inside of the Polynesian. The great thing about Captain Cooks vs. Magic Kingdom's Aloha Isle is there are hardly any lines and you fill the cup as high as you like. 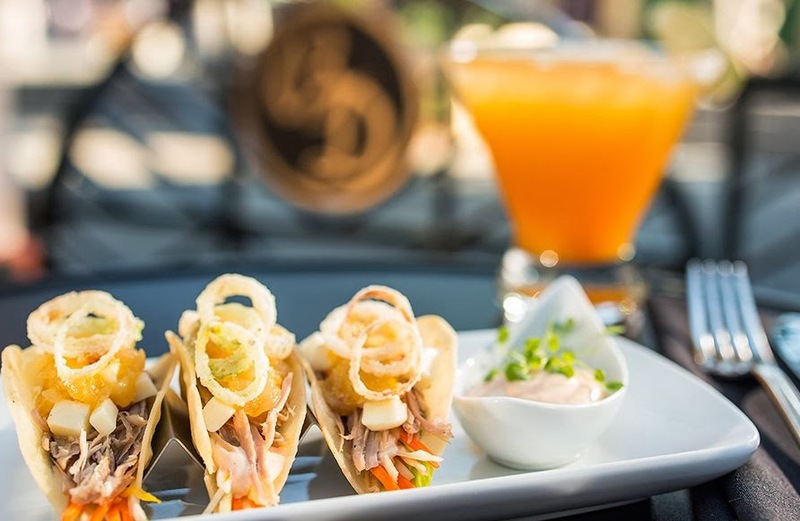 The Famous Brown Derby located inside of Hollywood Studios recently opened an outside patio lounge offering table service and small plates. 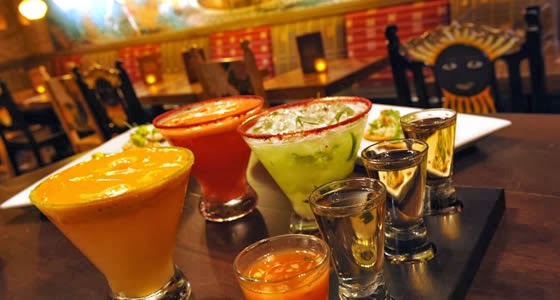 You can order sliders, duck confit tacos and a multiple option of cocktail flights (martini flights, margarita flights, champagne flights, etc). Reservations are not accepted at the outside patio and it is a great spot to people watch at Hollywood Studios. Small plates will set you back around $15 per plate so it is best to share a few with a group of friends. They also offer a small portion of their famous Cobb Salad. If your group is having a hard time deciding on what to eat, take a trip to Downtwon Disney Westside. A family of Food Trucks recently arrived and offer a wide variety of different foods. Superstar Catering, featuring a spinach and feta beef meatball sandwich; turkey sausage and golden raisin meatballs on polenta; and a lamb meatball flatbread with tzatziki. Namaste Café, featuring butter chicken, slow-cooked beef short ribs and tandoori spiced shrimp. 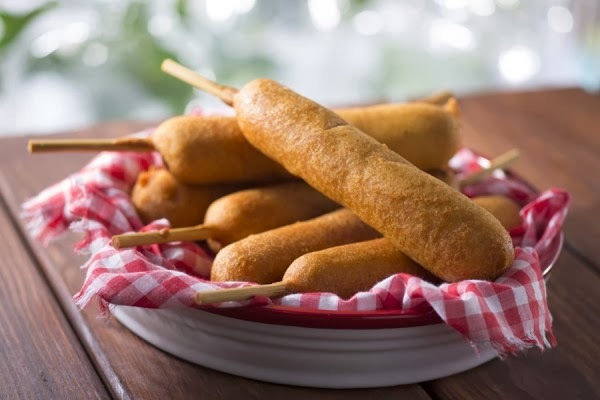 Delightful Dishes, featuring popular dishes from Disney Parks Around the World, including the legendary hand-dipped corn dogs of Disneyland Resort, Croque Monsieur from Paris and a glass noodle salad with chicken representing Hong Kong. Best of the Epcot International Food & Wine Festival offers favorites from the festival: lobster rolls, pierogies and kielbasa and grass-fed beef sliders. I could write a weeks worth of posts talking about Epcot restaurants and drinks. My favorite thing to do at Disney is eat and drink around the worlds. Instead of wasting your time on another post all about Epcot, I am doing a short compilation of my favorites inside of the park. San Angel Inn and La Cava Del Tequilla (Mexico): Best Mexican food I have ever had and hands down best margaritas you will find in Florida. Be careful, they are strong. Biergarten Restaurant (Germany): All you can eat German Buffet. Bring your appetite. Chefs de France (France): One of the best lunch deals you can find in Disney - a three course meal for $24. While in France, stop by lartisan des glaces for macarons! Le Cellier Steakhouse (Canada): Filet with Truffle Butter, enough said. Just thinking about that steak about it makes me want to go there right now. Nine Dragons (China): Nine Dragons is an amazing Chinese restaurant who offers Shanghai Xiaolongbao (steamed dumplings) during lunch hours only. I dream about these little pillows of goodness. Rose & Crown Pub & Dining Room (United Kingdom): Amazing and authentic pub food. Love their fish and chips. Great recommendations! 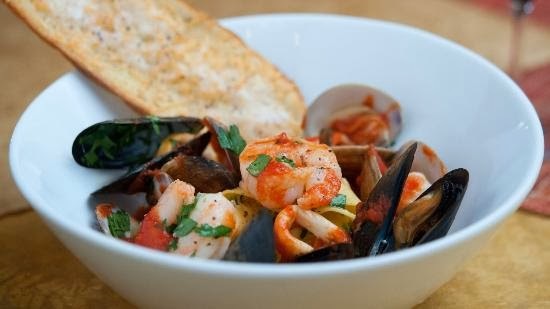 This made me hungry and these restaurants look insanely delicious! I LOVE Dole Whips! It's my one must-have every time I'm at Disney. It's amazing how many restaurants there are. My fave is Flying Fish Cafe on the Boardwalk. I also like Citricos at Grand Floridian. Oh yum!!!! I cannot wait to go to California Grill with you during Princess Weekend!! Have a great time this week.